The ONS published an article on Friday shining a light on the eight largest city regions outside of London. These include West Midlands, Greater Manchester, Bristol, West Yorkshire, Nottingham, Sheffield, North East and Liverpool. A handful of these regions could, in the coming weeks, negotiate an increase in devolved powers from the capital. There has been an argument for many years that London should not hold all control over the rest of the countries local jurisdiction. This power trip draws the emphasis to London and has seen the capital consistently outperform the rest of the country’s major cities because London is a magnet for both the best national and global talent as a technological and financial hub. Many of the constituencies believe the balance of power is unfair, with Whitehall to making decisions on policy affecting far further locations than its geographical borders. 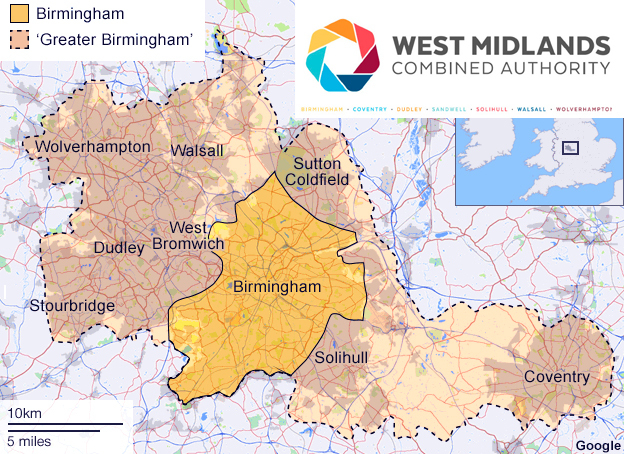 Five of the eight city regions are existing combined authority boundaries, with the West Midlands and Nottingham having recently submitted combined authority proposals. The boundaries for Bristol are based off current discussions being held locally that could see a proposal submitted in the near future for greater joint working. The eight city regions include 51 local councils, are home to 27% of England’s population and a quarter of our national workforce. 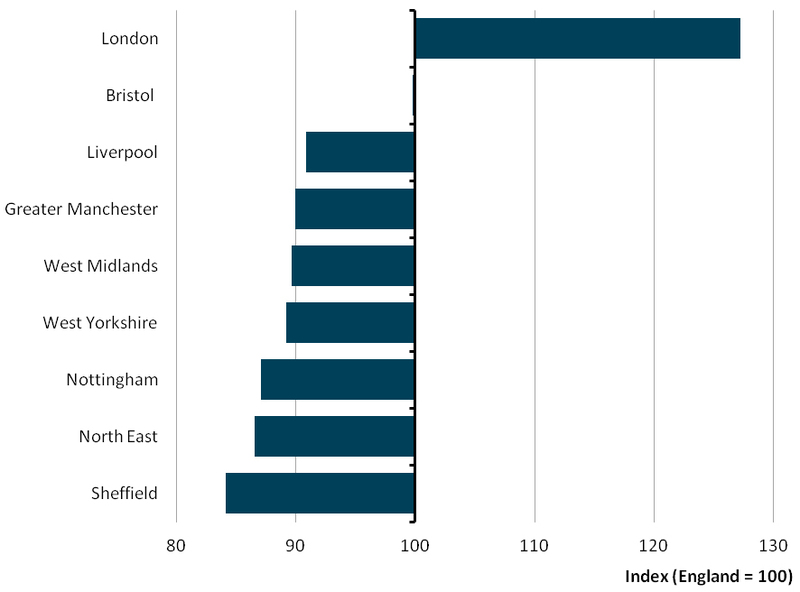 Bristol leads the city regions in terms of economic indicators such as household incomes, productivity and employment rates. Greater Manchester has the highest economic output in terms of Gross Value Added at 56.2 bn, but falls 10% below the England average for productivity. The average productivity across the whole of the North of England and Midlands was 13% below the average. With London exhibiting 27% above the average for England which could be down to higher skill levels enjoyed by the capital, with just under half of London’s 16-64 year old residents holding degree level qualifications, with this figure falling to less than a third in cities in the north and the Midlands. Gross Disposable Household Income figures for 2013 show in the north and the Midlands was 15-22% lower than the average in England. These relatively low average incomes match the lower house prices displayed by the chart below. This supports the common view that living in the north is cheaper than the south. 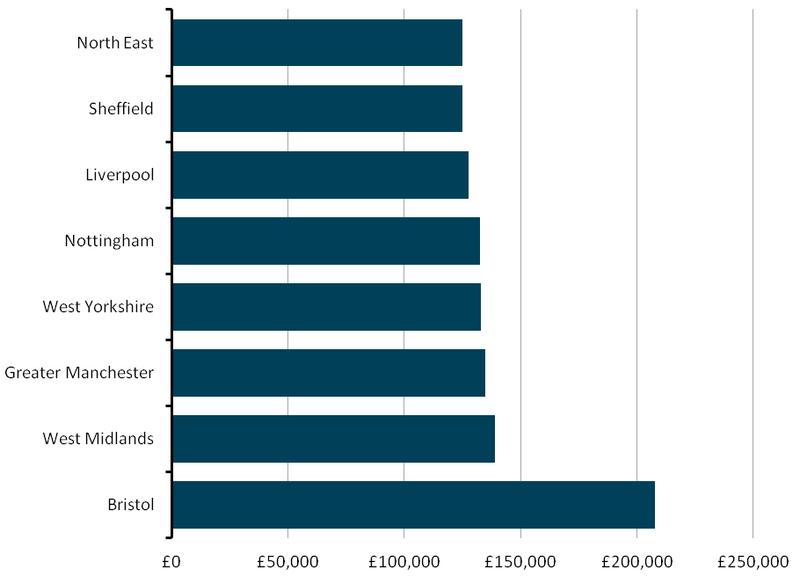 The figures also show that it is cheaper to live outside city regions, with residents enjoying a higher average GDHI per head in the north and the Midlands.